Portland Sea Dogs’ right-handed pitcher Adam Mills has been promoted to Triple-A Pawtucket. Left-handed pitcher Kason Gabbard rejoins the Sea dogs after completing a rehab assignment with Single-A Lowell. Mills has posted a 10-5 record with a 4.24 ERA in 20 starts for the Sea Dogs this season. He has won his last eight starts becoming the first Sea Dogs pitcher in franchise history to accomplish the feat. Since June 27th Mills is 8-0 with a 1.98 ERA. Mills was a perfect 6-0 with a 2.31 ERA in the month of July. He is the only Sea Dogs pitcher to accumulate six wins in a single month. He has lowered his ERA from a season high 9.66 on May 30th to 4.24. The 24 year-old is the 14th pitcher in franchise history to earn ten wins in a season. The Big Pool, Maryland resident was selected by the Boston Red Sox in the eight round of the 2007 First-Year Player Draft. Gabbard made three starts for the Sea Dogs this season posting a 0-3 record with a 19.64 ERA before being placed on the disabled list on July 1st. Gabbard was assigned to Single-A Lowell on a rehab assignment on July 14th. In five starts with Spinners, Gabbard notched a 2-1 record with a 2.53 ERA. Gabbard previously appeared in 54 games with the Sea Dogs from 2004-2006. He ranks fifth in Sea Dogs franchise history with 21 career wins. His .818 winning percentage (9-2 record) in 2006 is tied for the single season franchise record with four others. 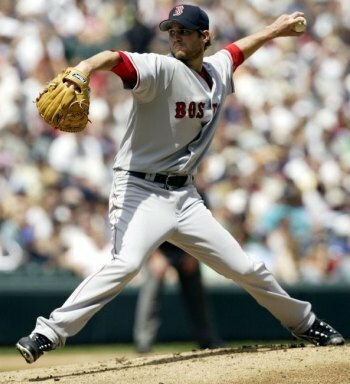 The lefty was traded back to Boston from Texas on April 29th of this year for cash considerations. Gabbard was pitching at Triple-A Oklahoma City where he appeared in five games for the RedHawks, going 0-1, 10.50 ERA (7 ER/6 IP). The Florida native went 9-7, 4.53 ERA in parts of four seasons in the Major Leagues with Texas and Boston. He was traded to the Rangers on July 31, 2007 with outfielder David Murphy and outfielder Engel Beltre for right-handed pitcher Eric Gagne and cash considerations. The Sea Dogs begin a six game road trip with a 7:05 PM game Tuesday night against the Altoona Curve at Blair County Ballpark in Altoona, Pennsylvania. Portland (56-57) is a half game ahead of the Trenton Thunder for the final playoff spot in the Eastern League’s Northern Division. The Sea Dogs are looking to qualify for post-season play for the fifth consecutive season. The Sea Dogs return to Hadlock Field on Tuesday, August 18th for a seven game homestand. Tickets are available for most 2009 Sea Dogs’ home games. Tickets can be purchased by calling the Sea Dogs Ticket Office at 207-879-9500 or online at www.seadogs.com.